A-ha is Norway’s greatest contribution to New Wave/Synthpop music. It all began in June 1, 1985 with the release of the band’s debut album, Hunting High and Low. Despite the unique and legitimate beauty of each of the albums that followed afterwards, many fans, especially those who love New Wave music, seem always to return to the Norwegian band’s first album for musical comfort. That should be unsurprising, for Hunting High and Low captured what was sonically attractive about ’80s New Wave music in general—layers of synthesizer-driven melodies, subtle guitar embellishments, characteristically patterned drum beats, melodic bass lines, virtually prerequisite orchestration, and, in the case of a-ha, a powerful and multiple octave–spanning and distinctively velvety voice coming from an equally gorgeous and charismatic frontman. 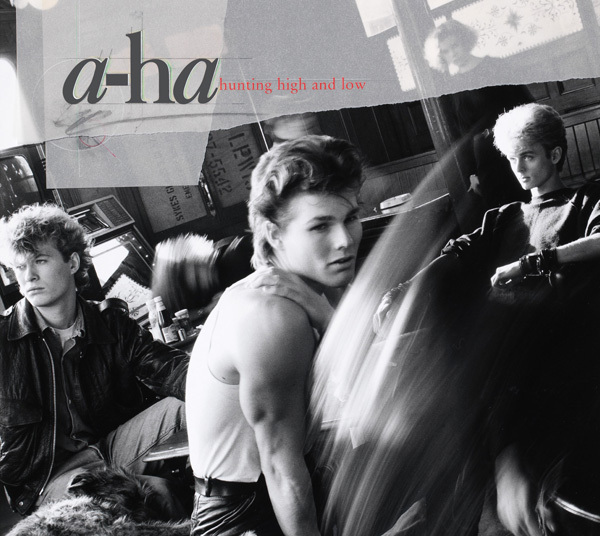 Thirty years on, Hunting High and Low still receives high praises from many of A-ha’s fans and critics. A-ha was formed by Morten Harket (vocals), Magne Furuholmen (keyboards), and Paul Waaktar-Savoy (guitars) in 1982, in Norway’s capital. 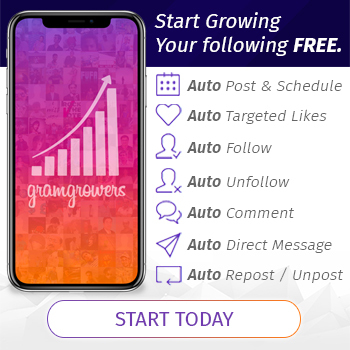 The three musically proficient artists-songwriters continue to enjoy their long music careers together as a group and also as individual artists. To date, A-ha’s studio discography consists of nine albums (and a new one is forthcoming), but Hunting High and Low remains the most romantic, nostalgic, and haunting primarily because of the mood and style of the music itself, which understandably captured the trio in their most innocent, youthful, and creative phase. Hunting High and Low opens with the now-iconic “Take on Me,” which starts off with the slowly fading-in driving drum beats and is highlighted by the now familiar staccato-like keyboard melody and accentuated by the soaring high notes of Harket’s voice. The strength and hook of the next song, “Train of Thought,” lies on the incorporation of the marimba sound. Only in the second song, yet Harket’s vocal drive was already unstoppable on high gear. It really complemented Furuholmen’s and Waaktar’s equally anthemic melodies. The album’s title track comes next; its lyrics, relative mid-tempo, and the soft but sudden entry of the vocals give the song an introspective feel; needless to say, the sound of the seagulls has also enforced the song’s wistful mood, making it very memorable. “The Blue Sky” begins with the chorus; it is also one of the songs in the album that have the catchiest choruses and intricate percussive elements. 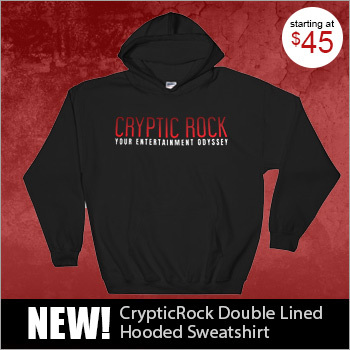 Sonically and lyrically, “Living a Boy’s Adventure Tale” may be regarded as a sequel of “Hunting High and Low”—nostalgic and retrospective, with a beautiful flute-led instrumental interlude. The second chart-topping single off the album, “The Sun Always Shines on T.V.” needs no further reintroduction. Arguably, it is the most majestic and dramatic moment in the entirety of this debut masterpiece by A-ha- from the opening piano interlude, to the opening lyrical lines, and on through the song’s sky-high last vocal note. At less than two minutes, the slow ballad “And You Tell Me” is short and sweet, nevertheless, still not simple in orchestration, which is in keeping with the album’s overall musical theme; most likely too that it has served as a theme song for many teenage sweethearts back in the glory days of New Wave music in the 1980s. 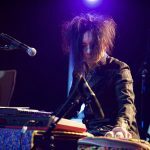 “Love Is Reason” seems to follow the structural template of “Take on Me,” including the tempo and the presence of an infectious keyboard line in staccato style. “I Dream Myself Alive” is another stomper, with contemplative lyrics set on a danceable beat and rhythm. Finally, “Here I Stand and Face the Rain” is a fitting album closer; it is the most intricately structured and arranged song in the album, emphasizing the album’s right to be acknowledged as a high-level kind of music. It is not a typical run-of the-mill Synthpop album; it is rather something that has strong Classical undertones beneath its shimmering Pop sensibilities. Yes, many listeners, as influenced by many sensationalist music critics, are fond of calling A-ha a one-hit wonder because of the size of “Take on Me,” which inevitably overshadowed A-ha’s other songs and the band’s entire discography itself. However, little do these people know that the loss and the folly were theirs. 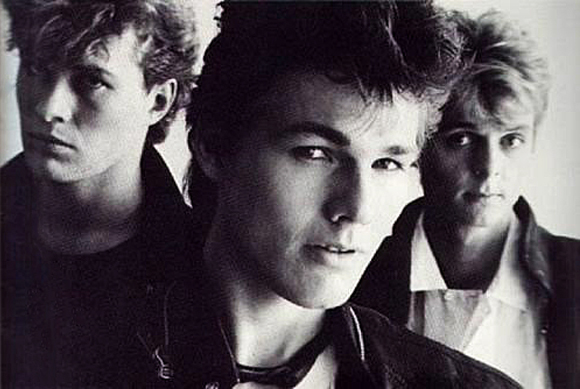 With their failure to see and hear beyond the massiveness of A-ha’s first single, they are actually missing the beauty of not only the whole Hunting High and Low but more so the entire body of works of this brilliant band. Nonetheless, it is never too late. There is still enough time to revisit the album, just before the release of A-ha’s much-anticipated new, Cast in Steel, which is slated to be released before the current year ends. Thank you for the last paragraph of a really good article. Finally someone eloquently put the critics in their place! Thank you too for such inspiring words.